The Capper Mount is a Made-to-Order item. 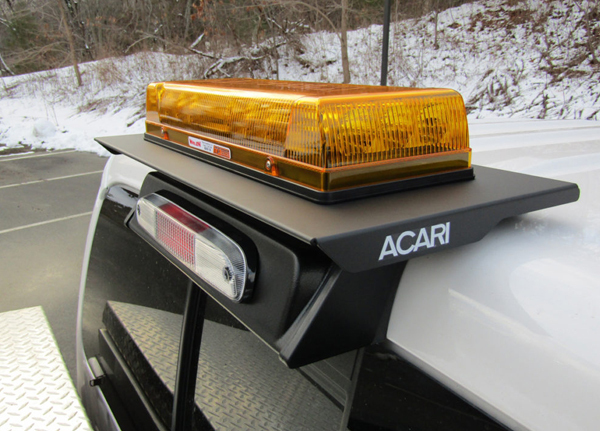 The ACARI 01 Series is our traditional mount which is manufactured in high quality, 6063 anodized aluminum with high impact ABS end caps. 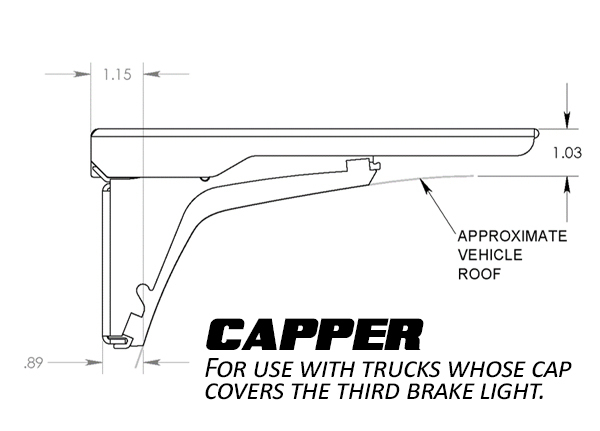 For use with trucks that have a cap which covers the third brake light. 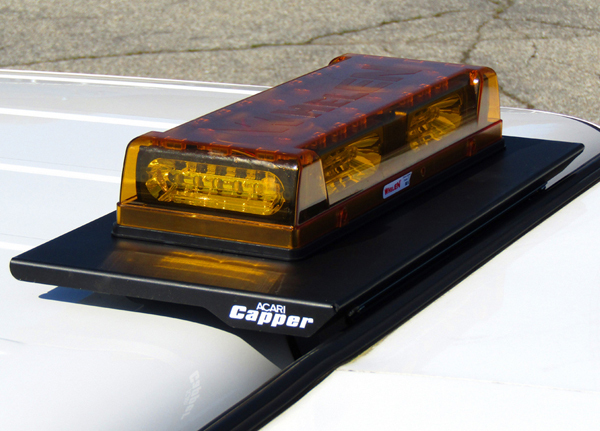 Using the patented Acari Drill Free mounting system, the Capper now offers its state of the art mount for work trucks that utilize cab height toppers. 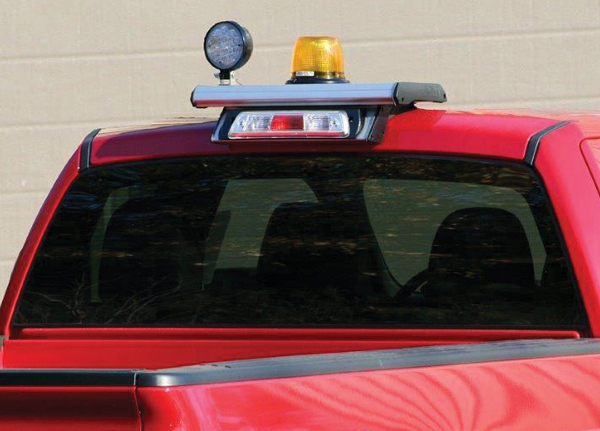 All mounts allow for safe & effective installation of safety/task lighting, communications antennas and logistics control devices while eliminating the need to drill attachment & wiring holes in the cab roof. They all allow for fast & easy installation of roof top devices while eliminating the need to drop the cab headliner to secure and wire. And they allow for secure & blemish-free installation of roof top devices while eliminating lease penalties for cab roof holes to secure and wire. 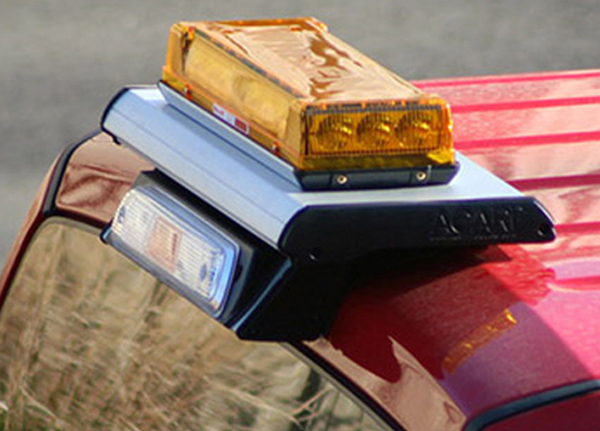 The mount allowed us to install strobe lights on our vehicles without damage to our trucks. 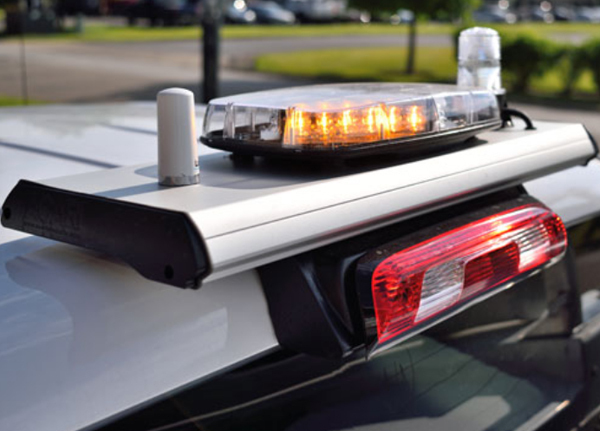 Our vehicles are leased and we did not want to risk permanent installation. Additionally, our vehicles are the newer Ford F150 with the all aluminum body, so magnetic strobe lights were not going to work. The roof of the cab is also contoured/ribbed so magnets wouldn't seat well even without the aluminum body issue. The mounts installed rather easily, the proper tools to tighten the bolts for the clamps make the job go much faster and reduces skinned knuckles. Arrived quick and installed fairly easy. Had to call the manufacturer to clarify installation instructions. Had to remove some factory foam from my F150 to properly install but wasn't a huge issue. I like it recommend using video on line for directions not the installation not the enclosed one. This works out very well. Well built, great design and perfect for those aluminum cab Ford's. Great way to install a strobe without cutting or drilling into the cab. 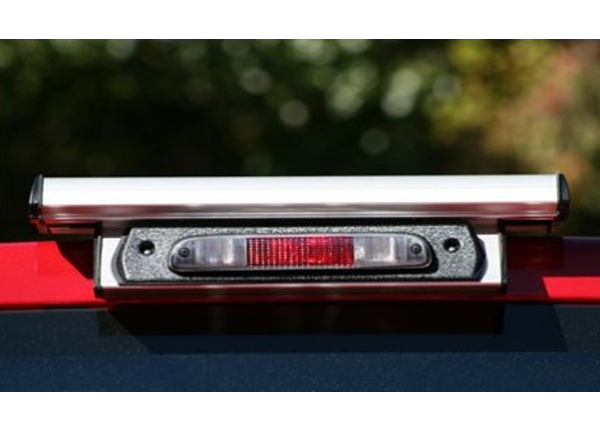 Very nice mount , easy to install and looks good on truck. I bought the steel version for a Ford 2016 F150 It does what it intends to do. It is steel, and magnets stick to it. It was nowhere near as easy to install as the video indicates. It was difficult to install as I could not get my impact socket to seat correctly on the bolt to tighten the unit to my truck roof. The bolt head was an angle that did not allow my socket on an extension to grab enough of the head to drive it tight. I had to work a combination wrench inside the housing. There was very little space to turn the wrench, I do have large hands, and it took a while. Near the end I was able to get a nut driver on the bolt to snug it down. Hasn’t blown off the truck. 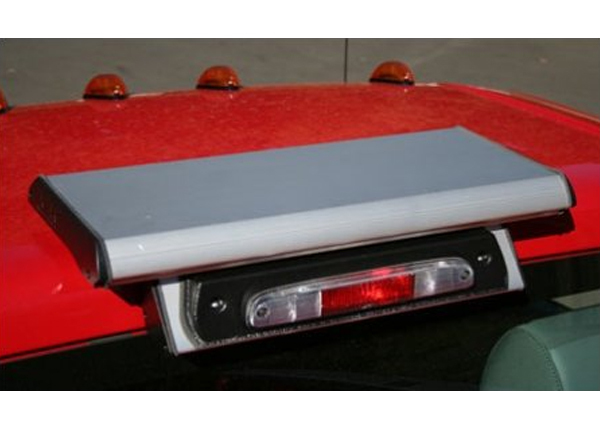 A: You can run the wires inside the mount and behind your 3rd brake light with this mount. 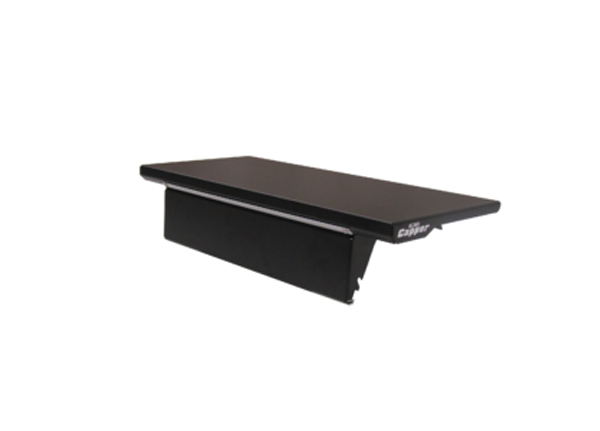 Q: What is the difference between the 22" mounting bracket versus the 22" low profile? A: The Low Profile sits lower to the roof. Q: Does this unit also fit 2017 cab? the description says to 2016? A: We can only recommend them for the vehicles and years listed. 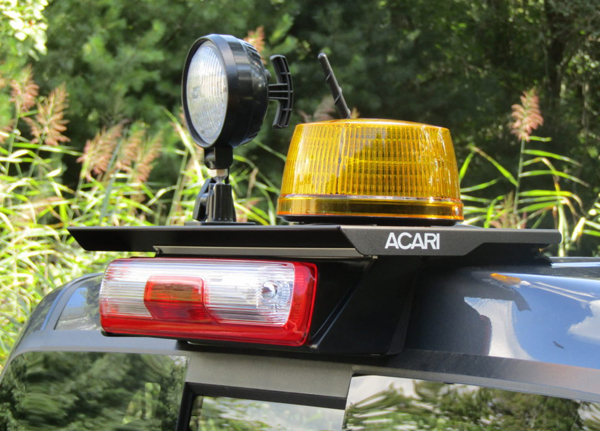 We update the part numbers as they become available from Acari.